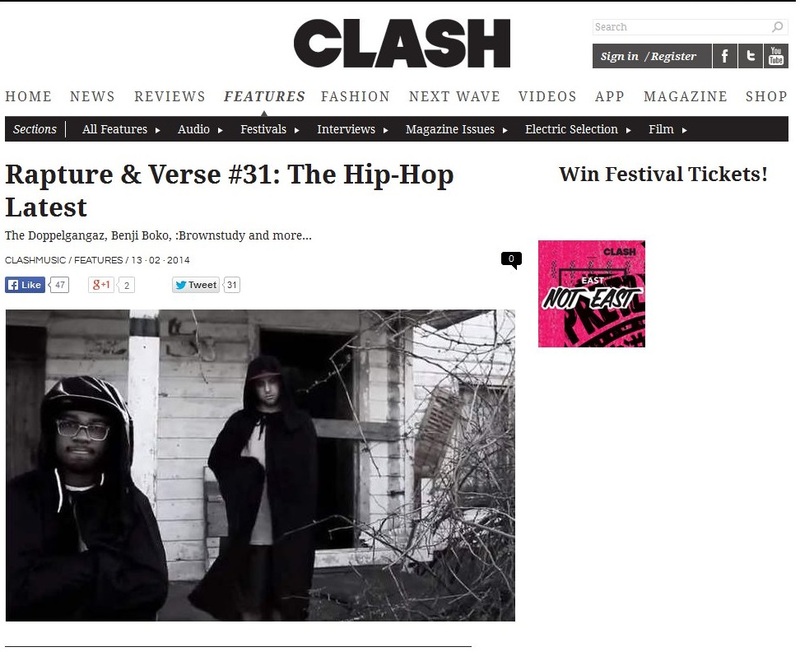 The UK’s Clash Magazine which covers most forms of music have just published their Rapture & Verse monthly column, a summary of the key news and releases in the world of hip hop. 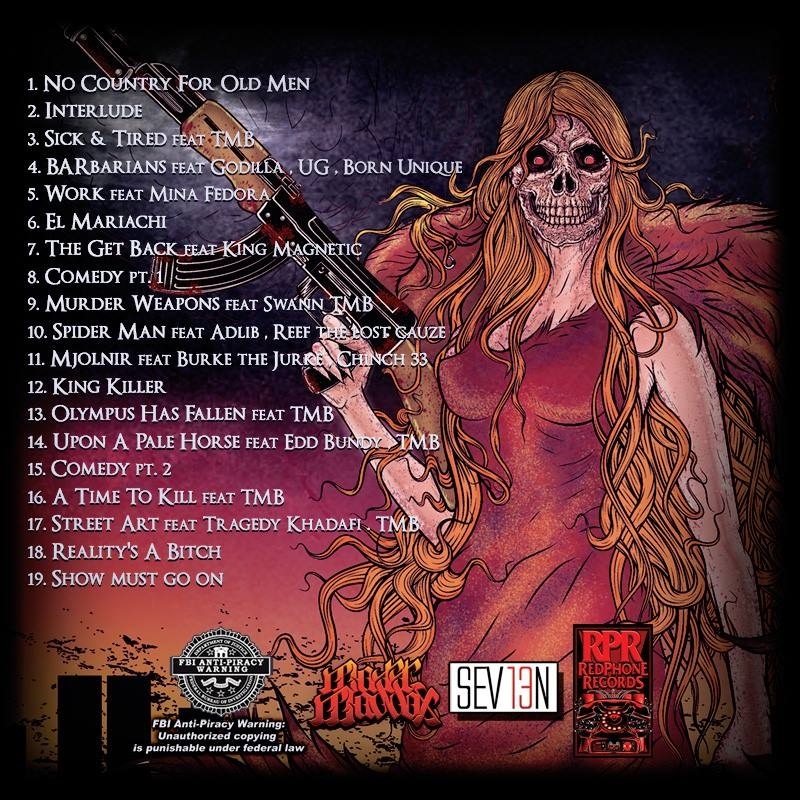 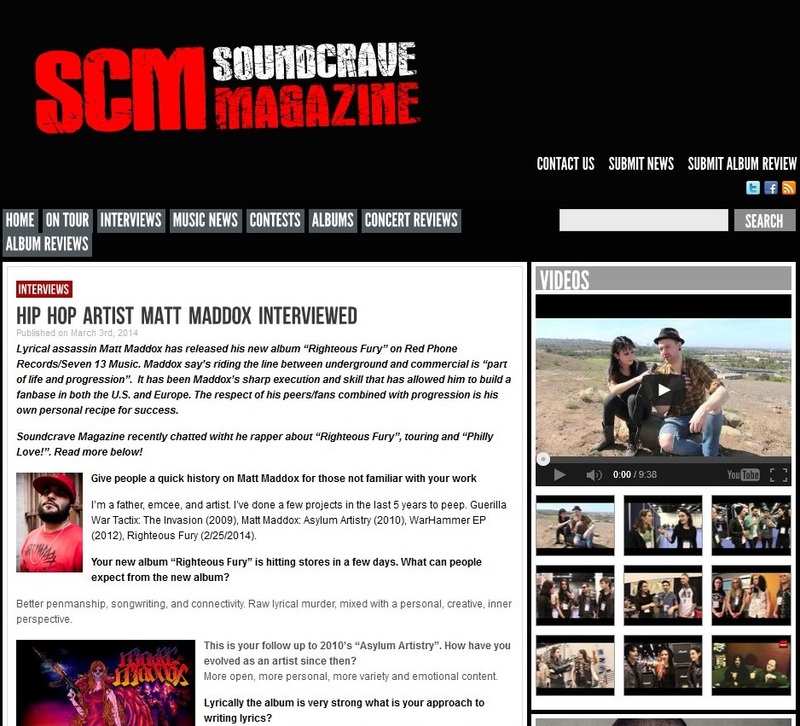 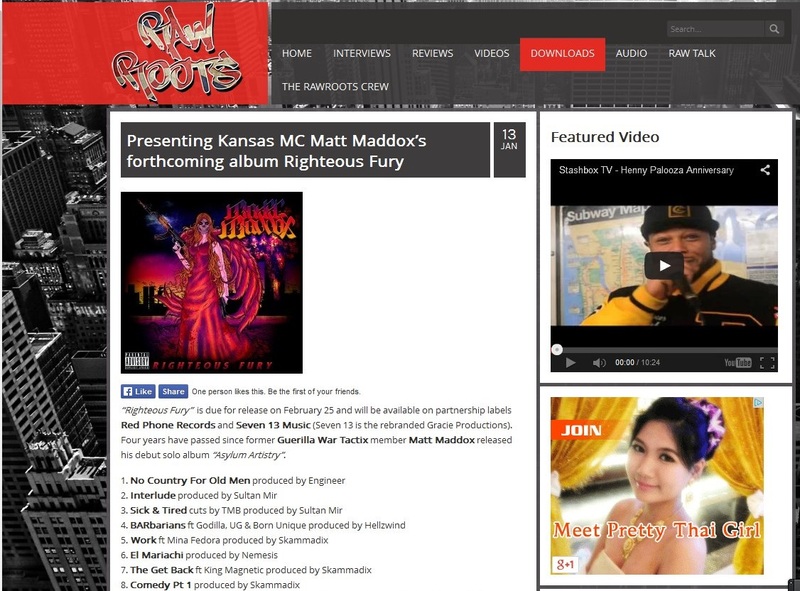 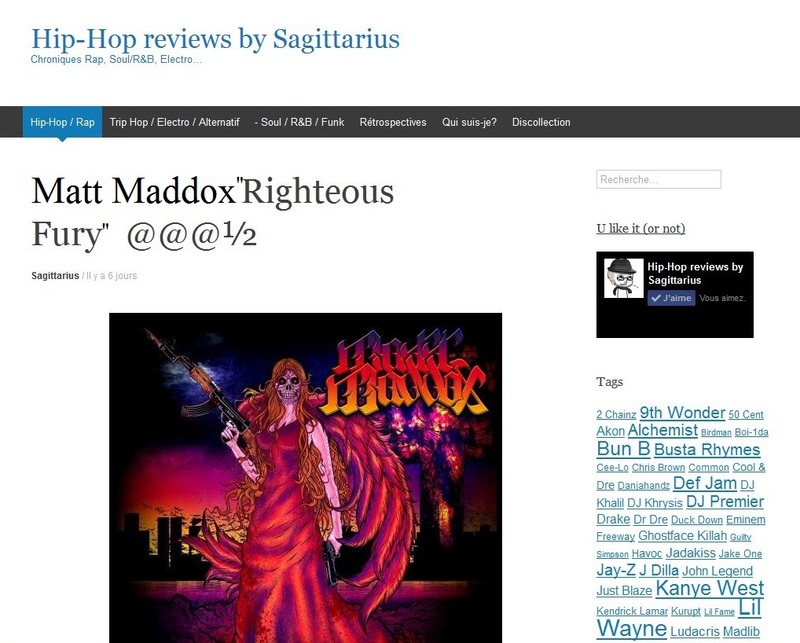 Written by Matt Oliver, it includes news on The Doppelgangaz, Verbal Kent, Pete Cannon & Dr Syntax, Benji Boko, Livin Proof, Brownstudy, Q Tip & Busta Rhymes and many more, including news on the new Matt Maddox album Righteous Fury” which releases on 25th February on Red Phone Records / Seven 13 Music. 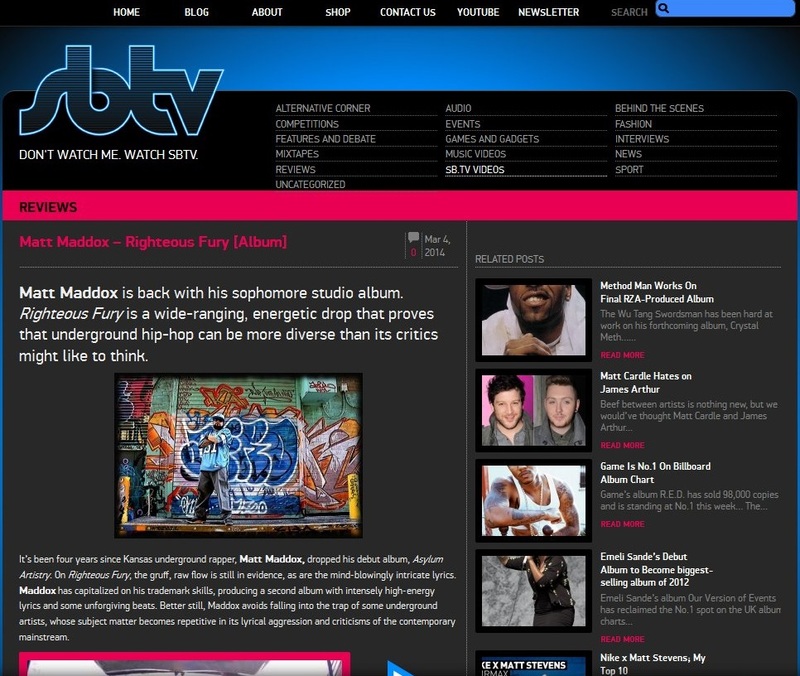 Due out on 25th February via the partnership of Red Phone Records and Seven 13 Music, the 19 track hip hop banger – which comes in at just under an hour in running time – has been previewed at the UK’s online platform Rawroots, long time established for covering homegrown and international artists with news, features, videos and releases.